Three audio sessions of guided meditations for living from what Loch Kelly calls “open-hearted awareness” — the same awake, loving consciousness realized by the masters of the world’s contemplative traditions. Define what Loch calls open-hearted awareness, our natural foundation of mind that arises effortlessly whenever we step out of the usual mode of consciousness known as ego-identification. Discuss how shift into Freedom is a progressive training guide that offers “small glimpses, many times” to help us shift out of our chattering mind and into who we really are. Practice more than 20 meditations including: Awareness Yoga, Embodied Presence, and Unhook, Drop, Open, See, Include, Know, Let Be. Discuss and discover how to live a fully intimate human life--giving you the tools to navigate your life with clarity and unconditional love. 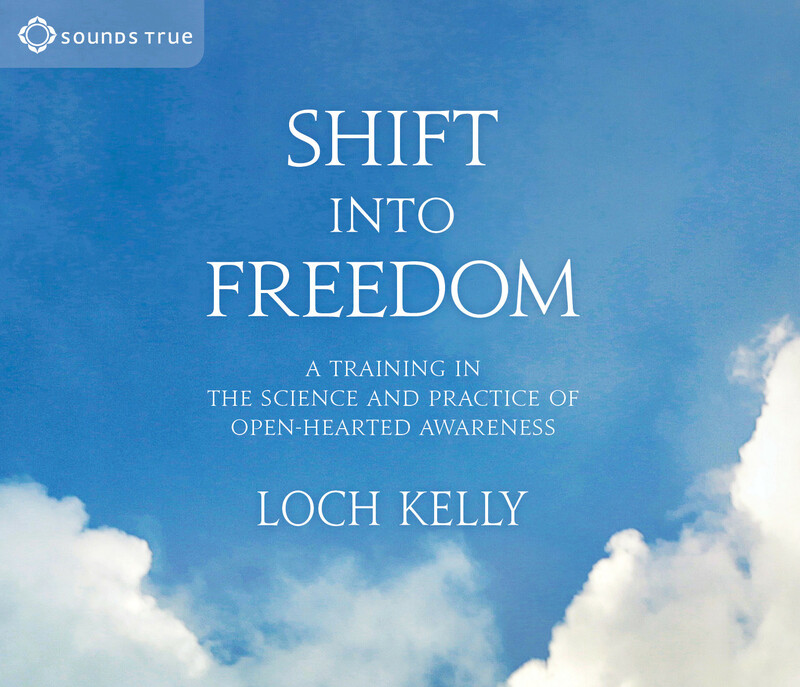 Among the many insightful and articulate lessons offered by Loch Kelly in this training CD, he mentions that the shift into freedom is comparable to upgrading our mental operating system so that we can enjoy a fuller and more awakened experience of life. In the short time that I have been listening to this CD and practicing the collection of glimpses that comprise the training, I already recognize a "rewriting" of the habitual mental acrobatics that I have come to (begrudgingly) accept as the chatter of my brain. These are not complicated or lengthy meditations; they are streamlined inquiries into how we've fallen into habits of thinking and doing, and if we just untie the knots induced by misinformation, we will begin to sense a greater and vaster awareness that is always available and present. I cannot overstate the value of the guided meditations and “glimpses” that Loch Kelly provides in this audiobook. These brief exercises are at once incredibly simple and deeply profound. They will undoubtedly benefit beginner and experienced meditators alike. The training that Loch provides in this audiobook, and in the accompanying book of the same title is the sort of thing one expects can only be found in the mountains of Nepal, teachings reserved for the advanced student who has spent years scrubbing temple floors and sitting in silence. But no, here are the teachings and instructions available for less than the price of a movie ticket or a good dinner!